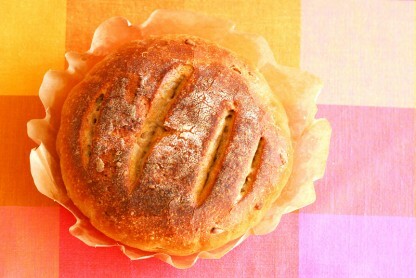 Research shows that the health benefits of sourdough bread make this delicious food a valuable part of a healthy diet. Sourdough bread is a great healthy bread option. Have you ever been warned that you should cut bread out of your diet because it’s full of carbohydrates, makes you gain weight, and is bad for your health? If you’re a bread lover, sourdough bread may be a great option. Sourdough bread’s health benefits make it an excellent and healthy bread choice. Its top benefit? Sourdough bread has a low glycemic index and can help keep your blood sugar and insulin levels lower, which can prevent insulin resistance and diabetes. What Makes Sourdough Bread Unique? All bread is different. 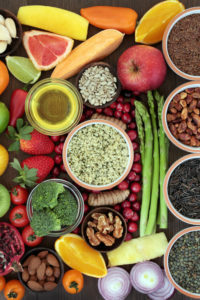 What grains are used, how the grains are processed, and the way the dough is prepared and baked all can affect the composition of bread products, and in turn, how they are metabolized in our bodies. This can affect how fast the bread moves through our digestive system once we eat it, and the way our body breaks down and absorbs the starches. With sourdough, the grain, oftentimes wheat, is fermented with lactic acid bacteria and wild yeasts. In this process, the grain is metabolized by the bacteria and lactic acid is produced. Sourdough has reduced simple sugar content and high levels of lactic acid, which makes it unique from other types of bread. If you have celiac disease or are gluten-insensitive, you know that bread can be a challenge. Click here for a gluten-free sourdough bread recipe at Gluten Free & More magazine. Most bread products (especially white bread and highly processed bread) are loaded with carbohydrates and the starches are quickly digested. This produces a high glycemic response, meaning that your blood sugar spikes quickly after eating. Elevated glucose in the blood comes along with increased insulin concentrations which can be detrimental to health. But the fermentation process in sourdough lowers the glycemic index and makes it a great low GI bread. Another study in prediabetic patients found that sourdough bread elicited significantly lower glucose and insulin levels than regular bread. The researchers concluded that a diet including a low gi bread such as sourdough bread might delay the evolution of insulin resistance into diabetes itself. Even short bursts of high blood sugar can worsen insulin resistance and contribute to diabetes; preventing spikes in glucose by eating sourdough is one of the many benefits of sourdough bread. SOURDOUGH BREAD… OR EZEKIEL BREAD? The most nutritional choice for bread? We make the case here for sourdough bread. But don’t overlook Ezekiel bread. Click here to read about that increasingly popular choice. Eat in moderation, however. Remember that while it may be better than other types of bread, sourdough is still carbohydrate-heavy and does raise your glucose levels. Do you enjoy eating sourdough bread? What are your favorite recipes? Share your tips in the comments section below. Does sourdough bread slow down the rate at which glucose releases into our bloodstream? That belief makes it a healthier choice than, say, white bread. Or at least that’s what some experts have purported. But is it actually the case? In 2017, a team of Israeli researchers at the Weizmann Institute of Science conducted studies that produced a different conclusion: that sourdough bread doesn’t necessarily have a lower glycemic index for everyone. The effect may be true with some people, but turns out to be opposite for others. In other words, the glycemic response to the two types of bread varies greatly across people, per the small crossover trial. Bread is consumed daily by billions of people, yet evidence regarding its clinical effects is contradicting. Here, we performed a randomized crossover trial of two 1-week-long dietary interventions comprising consumption of either traditionally made sourdough-leavened whole-grain bread or industrially made white bread. We found no significant differential effects of bread type on multiple clinical parameters. The gut microbiota composition remained person specific throughout this trial and was generally resilient to the intervention. We demonstrate statistically significant interpersonal variability in the glycemic response to different bread types, suggesting that the lack of phenotypic difference between the bread types stems from a person-specific effect. We further show that the type of bread that induces the lower glycemic response in each person can be predicted based solely on microbiome data prior to the intervention. Together, we present marked personalization in both bread metabolism and the gut microbiome, suggesting that understanding dietary effects requires integration of person-specific factors. Br J Nutr. 2009 Feb;101(3):391-8. Univeristy of Guelph. News Release. 2008 Jul. This article was originally published in 2015 and is updated regularly. bacteria, blood sugar, celiac, celiac disease, diabetes, diet, digestive, food, glucose, glucose levels, gluten, gluten free, gluten free more, Glycemic index, glycemic response, gut microbiome, health, high blood sugar, high glycemic, insulin, insulin resistance, low gi, low gi bread, low glycemic index, lower glycemic index, metabolism, recipe, sourdough bread, sourdough bread health benefits, sugar, the glycemic index, whole grain, whole grain bread, whole wheat, whole wheat bread. How do we know what ‘level’ of sour dough is in a loaf (some are called sour dough and only contain 10% sour dough from the ‘mother batch’. And what % sour dough is required to provide the health benefits described?. In my experience 40% sour dough produces good flavour so manufacturers of cheaper types probably use significantly lower levels. Its a long production process, so not easy to manufacture large scale. LOVE READING UHU .. EATING HEALTHY IS MOST IMPORTANT . THERE IS NOTHING ELSE ..
Sourdough from any grocery chain is made from yeast, most likely genetically modified. An independent baker can make real sourdough (where the yeast comes from the air) from organic heirloom wheat.